Star Coach Express is an emerging express bus company in the competitive industry. Star Coach is also an affiliate company of Star Shuttle which operates scheduled services between Kuala Lumpur, Ipoh and KLIA/LCCT. Star Coach aims to provide a smooth, comfortable, quiet, and relaxing ambient throughout the whole journey at competitive price for the passengers. Most important is that Star Coach ultimate goal is to ensure a SAFE journey for the passengers. 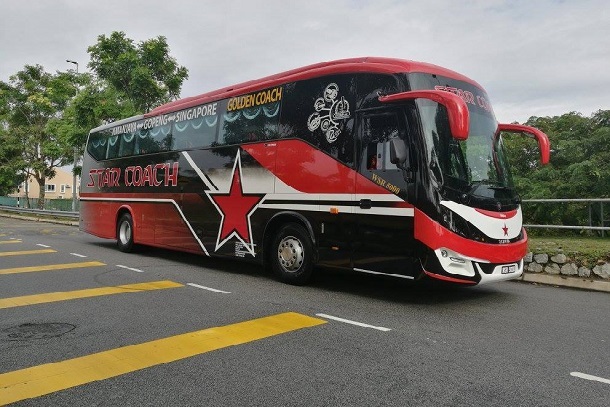 Star Coach has introduced the bus services from Sungai Siput, Terminal Aman Jaya and Ipoh to Johor Bahru and Singapore; from Lumut, Sitiawan and Teluk Intan to Johor Bahru and Singapore.